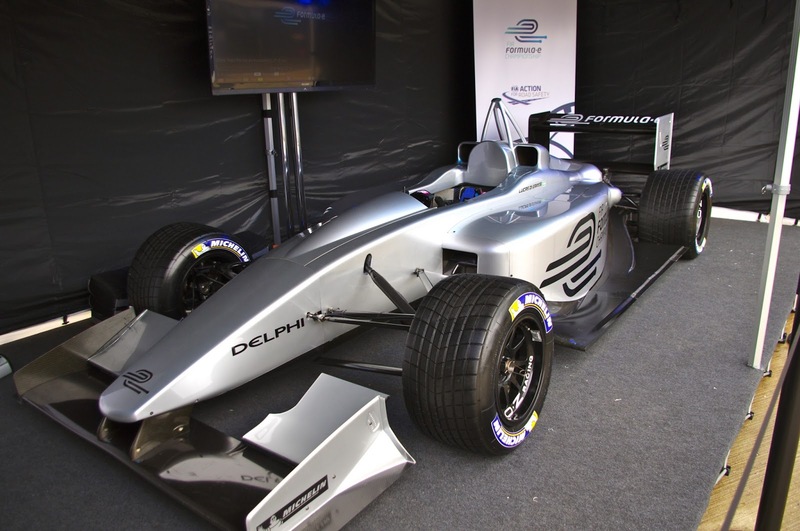 When it hits the track next year, the FIA Formula E Championship will be hoping to kick off a new era of environmentally friendly motorsport. But can it capture the fans’ imagination too? The cars look like no-frills F1 machinery, though the crucial difference comes in the lack of an engine, with batteries mounted in the side-pods providing power. It’s already up and running, claiming to hit 60mph in under three seconds and with a top speed of 130mph. So in a way it’s just a slower version of F1 with an alternative energy source – but it also plans to do some things very differently. For a start the series won't race on traditional circuits, with all 10 ‘e-Prix’ set to take place on the streets of major cities like London, Miami and Rio de Janeiro. And, as opposed to the three-day F1 schedule, Formula E will pack all the action into a single day. Drivers will practice in the morning, qualify at lunchtime and then race later in the afternoon. The events will feature a range of entertainment, including live music and DJs, with the racing forming only part of the package. Perhaps the biggest coup Formula E has achieved thus far is attracting support from the likes of Renault, Michelin and Tag Heuer. These companies don't lend their name to inferior products, and their participation will do wonders for the series’ image. But there are a few worries. The batteries being used only last for half a race, and with changing them mid-way through not an option every driver will have two cars. At mid-distance they’ll pull into the pits, hop out of their ‘A car’, run 100 metres and jump in the ‘B’ machine. It should make a novel sight: motorsport meets athletics. It's also fair to question just how sustainable the series will be. Producing two cars per-driver and transporting them across the globe isn't exactly kind to the environment. With a global calendar all freight will need to go by air – and air travel is a significant pollutant. No doubt the long-term aim is for one battery pack to power a car for the full race, but rolling the series out now – while the technology isn't fully developed – suggests the FIA were in a rush to get things going. In fact some within the sport believe the future isn't in electric power but in energy recovery systems, like F1’s KERS or the hybrid units Audi and Toyota use for the Le Mans 24 Hours. Ultimately the series will be judged on the product it produces and, with all races taking place on street circuits, there is a worry that overtaking will be at a premium. 130mph isn’t that fast when you’ve watched an F1 car top 200mph at Monza, and it’s unlikely to attract superstar drivers. Expect a mix of ex-F1 midfielders and little-known youngsters. But Formula E does have a unique selling point and will no doubt be championed by major companies looking for some positive ‘green PR’. It will be fascinating to see how it fares. Josh writes the Sports blogs over at Aford Awards. He is passionate about all things sport and loves to write about it. Find him on Twitter and Google+.